Blur Busters Forums • View topic - Asus PG258Q - Can it do 180Hz ULMB!!! Asus PG258Q - Can it do 180Hz ULMB!!! Well, at the moment, the 240hz really shines in fast paced action (mainly Overwatch these days) HOWEVER it doesn't have the absolute crispness of ULMB. I'm thinking that maybe 180hz with ULMB might be perfect so I'd like to test it out. That said, I'm wearing of adding any input lag. Maybe I'll just try to tweak the 240hz to perfection. If there are any tweaks I can do to squeeze any extra clarity, I'd love to know! 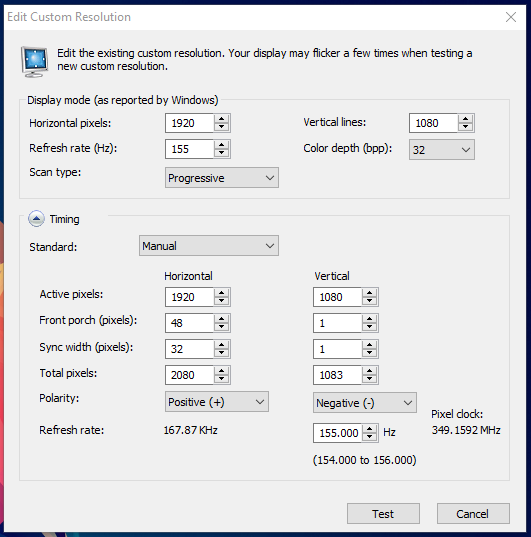 Re: Asus PG258Q - Can it do 180Hz ULMB!!! Did you perhaps find out how to do that in the Youtube video I made showing how to strobe at 155hz?